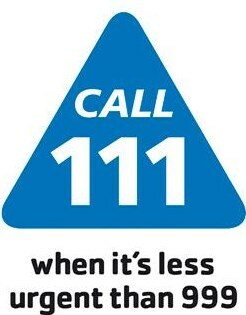 Outside of surgery working hours if you require emergency medical treatment or advice please telephone the 111 service. You will be given medical advice over the phone or offered an appointment at an Out-of-Hours Centre near you. Please note the 111 service is for urgent medical advice and you should contact the surgery for non-urgent medical matters when the surgery is next open.